Common Room is a series of artist-led tours of Twin Cities sites, with each tour themed around a specific concept that the group uses as a lens to explore facets of the urban geography — in the past, these themes have included cats, alleys, skyways, fishing, freeway construction, weather, community kitchens, personal memory, and many more. Common Room is the work by Sergio Vucci and Andy Sturdevant, along with a rotating lineup of contributors. 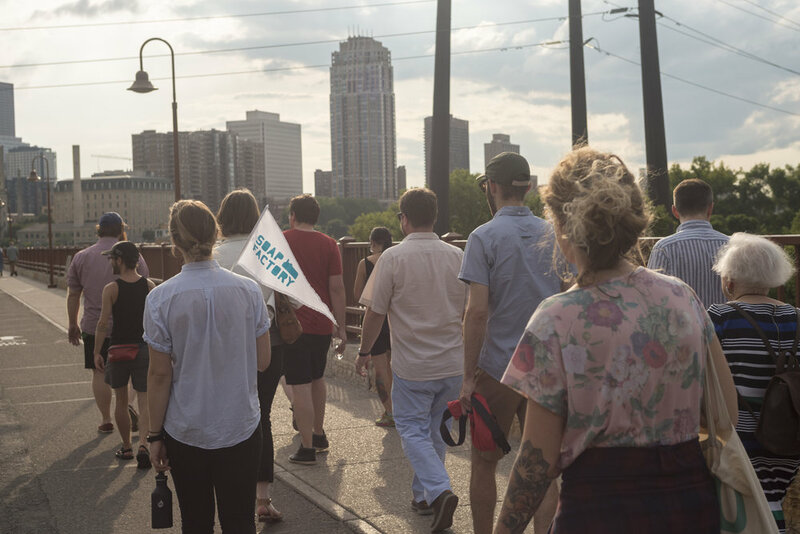 Now in its eighth year, is using the occasion of the Rethinking Public Spaces project to expand the scope of its programming for this summer to travel beyond The Soap Factory, and various neighborhoods of the Twin Cities by foot, bicycle and bus. Common Room’s themes in 2017 will include silence, moving images, sacredness, islands, neighborhood music, and more.